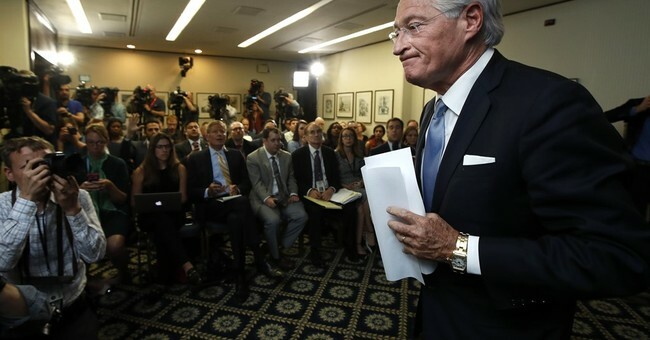 Marc Kasowitz, President Trump’s personal lawyer, is no longer head of the legal team responding to the Russia investigations, according to reports. Ty Cobb will now fill that role, with Kasowitz taking up a lower position. The shakeup on the legal team comes one day after Mark Corallo, the spokesman for Trump’s legal team, resigned. Corallo had reportedly never met Trump or Kasowitz before taking the spokesman post, and had been critical of the administration in the past. The Post reported some lawyers representing the president are looking at ways to undermine special counsel Robert Mueller, who is spearheading the Russian probe. Bloomberg first reported on Thursday Mueller was looking into Trump’s past business transactions as a part of the probe, despite Trump’s warning in a New York Times interview not to do so. Corallo had only been on the job for two months. According to Politico he “had grown frustrated with the operation and the warring factions and lawyers” and was increasingly concerned about whether he was being told the truth about certain matters. Corallo had told an associate that the dynamics in the White House were untenable and that there was "too much fighting all the time," in the words of one person who spoke to him. Corallo, a former Justice Department spokesman, worked in the George W. Bush administration under former Attorney General John Ashcroft.